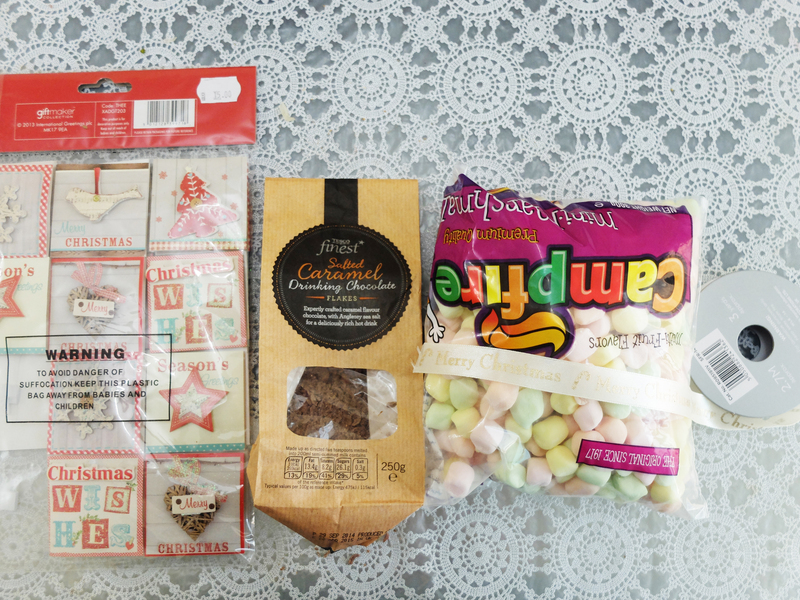 What is Christmas without chocolate? Nothing, really. For me, no celebration is complete without the inclusion of this dark, decadent, naughty delight (and yes, I can describe chocolate in any number of adjectives!). I’ve been looking at these adorable tutorials on Pinterest to make DIY Hot Chocolate Mix in Mason Jars and really wanted to give them a shot for a dear friend and here’s how it went! 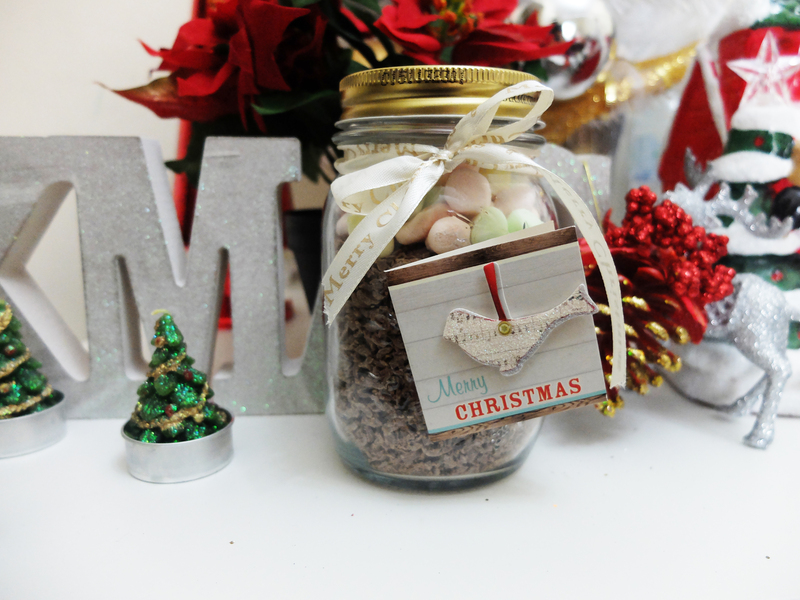 And it’s all very simple after that, pile on the hot cocoa mix in the mason jar and add a layer of marshmallows. If your hot cocoa doesn’t have sugar, you can just add a layer in the beginning which will give a cool three layer effect. Tie the festive ribbon around the rim of the jar and add a card to write your greetings. Measure the cup you’re going to use to pour the hot chocolate into. Fill it with full-fat milk around 3/4th of the way. Now pour the milk in a bowl and bring it to a boil. I’d say you will need a tablespoon of the Drinking Chocolate but feel free to amend it to your taste. I also added a tsp. of Vanilla extract and Cinnamon. 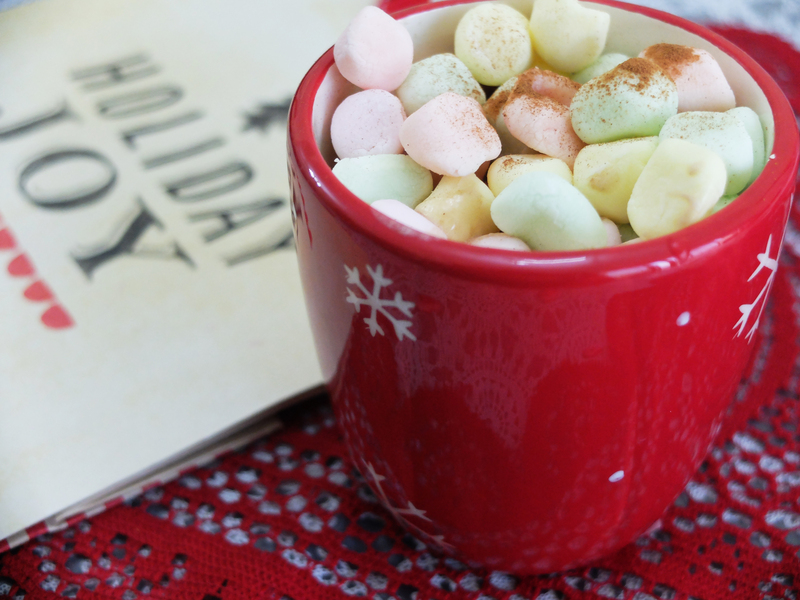 Pour in your festive mug and fill it up with Marshmallows!